Life insurance is more than just an insurance policy for most people. It’s one of the essential protections for your family’s future well-being. 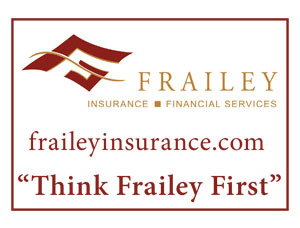 With Frailey Insurance and Financial Services, you can get more from your life insurance agents than just a nuts-and-bolts policy explanation. Because life insurance may have an impact on your other insurance and investment decisions, you need someone who truly understands the nuances associated with different policies and what this means for your financial protection priorities.Not sure how much life insurance you need? Our life insurance agents in Stroudsburg PA will look at your household situation and what it will take to maintain your family’s living standard in the face of lost income and personal tragedy. Our agents will also help you navigate four potential policy types: term, whole, universal and variable universal. With patience and clarity, they’ll help you understand what these policies mean for you and your loved ones. Whether you are just starting your family or you’re looking at life insurance as part of your retirement planning, we have the insurance products and expertise to build a policy that’s right for you. If you need help obtaining this financial protection within your monthly budget or if you are a beneficiary of a life insurance policy, the hallmark of our customer service is nothing short of making sure your family is taken care of. Start the conversation with one of our local agents to learn about life insurance coverage for you and your family. We help protect what matters most in Pennsylvania, New Jersey, New York, Connecticut, Maryland, North Carolina, and Florida.